If you have ever tried to do a card trick and failed, you know what it is to be embarrassed. You may try to cover up by doing a more difficult trick and fail again. The way out of this dilemma, however, is not immediate, but it is reliable: a surer mastery of technique. This means the proper instruction book, and practice. In this definitive work on card technique, step-by-step instructions teach you the correct methods for the basic manipulations and the more advanced flourishes, and only then allow you to learn tricks. Offering the most foolproof methods available, Jean Hugard and Fredrick Braue explain such basic manipulations as the palm, the shuffle, the lift, the side slip, the pass, the glimpse, the jog, and the reverse. They detail various false deals, crimps, and changes and the more advanced execution needed for forces, fans, and the use of the prearranged deck. Also presented is a wide variety of tricks, including discoveries, self-working tricks, one-handed tricks, stranger cards, and such individually famous tricks as the four aces, the rising cards, and the Zingone spread. In addition, the authors include a complete compendium of shakedown sleights — to warn the card player and aid the entertainer — and a performer's guide to misdirection and patter. Many of the methods explained were revealed here for the first time, while many previously known tricks are presented in improved versions. In every case the aim is simplicity of technique for the purpose of mystifying an audience, not technique for the sake of technique. 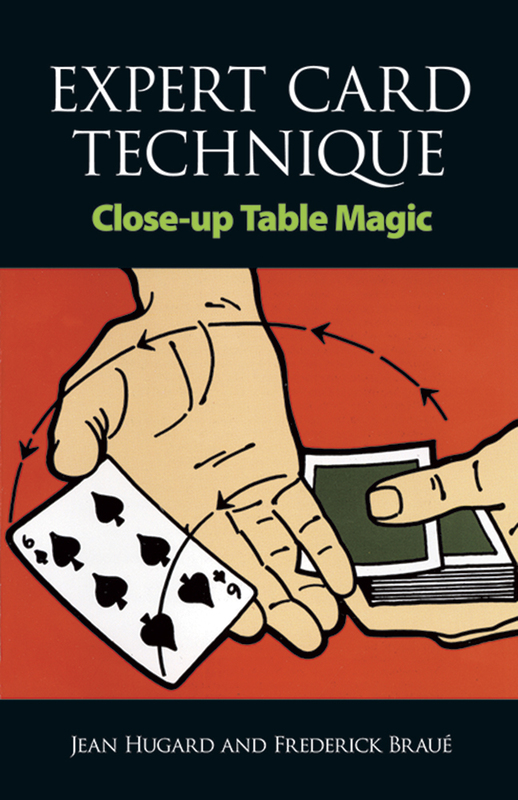 An unsurpassed collection of methods and manipulations, this classic work will help any aspiring magician to achieve expert card technique.